Today, I’m handing over the blog reigns to a group of voracious readers and up-and-coming book reviewers from Years 3 and 4 at Girton Grammar School in Bendigo. Maddi, Jacob, Bronte, Max, Lincoln, William and Sarah recently read Tape Escape and Selfie Search from the Max BoothSuper Sleuth series by author, Cameron Macintosh, and illustrator, Dave Atze. To mark the launch of the second book, Selfie Search, the students put together some probing questions and Cameron was kind enough to provide us with some intriguing answers. Into the future . . . to discover the past! 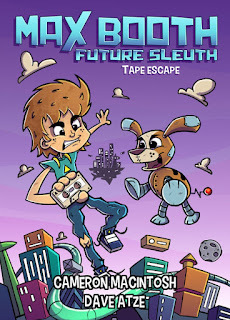 Max Booth Super Sleuth, for ages 8-10. The main idea came about after a trip to Pompeii, in Italy. As you probably know, Pompeii was buried by volcanic ash when Mount Vesuvius erupted in the year 79 CE. While I was there I saw lots of objects that had been buried under ash and rubble for most of that time. Even seemingly boring objects like lamps and combs, I found really interesting. I couldn’t help wondering who they’d belonged to and how they’d been used. All of this made me wonder how people in the future will react when they come across objects that we use today, or that people have used in the last few decades. Then I thought, ‘I just need a future character who finds today’s objects as interesting as I found the objects in Pompeii!’. And that’s how Max was born! The idea for Selfie Search was sparked during a walk through the National Gallery of Victoria, in Melbourne, last year. I couldn’t help noticing how many people were taking selfies in front of the artworks rather than actually looking at them and enjoying them. I actually found it pretty funny, and thought that our current obsession with phones and selfies might be something Max could have a giggle about when he finds a mobile phone from 2017. The main reason I like writing about people in the future is because it’s so much fun to imagine how the world will be in future centuries, and how people will live alongside new technologies. I also like the fact that when you write about the future, it’s all in your imagination, so no one can tell you you’ve got the facts wrong! The main reason I wanted to set the books so far into the future was to make it more likely that the objects Max investigates would be old enough for people to have forgotten about. Four hundred years felt about the right length of time for that, and also seemed long enough for some huge changes to have taken place in the way most people live. Max and his robot dog, Oscar, are on a mission! Well (keep it a secret…) but Max may or may not be an orphan… I won’t say much more about that – you’ll just have to look out for further adventures! But the fact that he doesn’t live with family means that he can get up to all sorts of adventures at all times of the day and night. Deep down, though, Max misses living with his family, and would do anything to see them again. As for me, it definitely makes it easier to think up storylines when you’re writing about a character with so much freedom. Well, I wanted something short and snappy for the main character, so Max fitted him nicely. And Oscar is named after my friend’s awesome Jack Russell Terrier, who lived in our sharehouse while I was writing Tape Escape! Beagles are known for their incredible sense of smell, so I thought they’d make very highly-skilled robot dogs. But probably the main reason is that ‘beagle’ and ‘bot’ sound so good together! There is school in the future (sorry if that’s bad news!) but for better or worse, Max doesn’t go. He misses out on lots of opportunities because of this, but hopefully he gets lots of education from the work he does for Jessie. When I was a kid, cassette tapes were the main way we recorded and shared music with each other. And I’m probably the only person on Earth who still has a cassette player in their car stereo, so I thought cassette tapes were worth celebrating in a story! Also, they’ve become a bit cool again – lots of young bands are now releasing their music on cassette, which I find very exciting. It’s about 1m x 1m x 1m. So it’s definitely very cosy! Reading the fine print . . .
I’ve been writing stories since primary school, but I wrote my first published book in 2008. That wasn’t a story though – it was a non-fiction book about the Beaconsfield Mine disaster, when two miners got stuck underground in a Tasmanian goldmine for two weeks, in 2006. So far, I’ve written about 85 books. It sounds like a lot, but most of them are pretty short! Most of them have been, in the last few years, but I also write a lot of historical non-fiction, so I’m often researching and writing about people and events from the past too. Gosh, hundreds, I hope! At the moment though, I’ve got pretty strong ideas for the next three, which is more than enough to think about for the time being! Max’s next adventure is coming out in 2018, hopefully in the first half of the year. I don’t know the exact date yet, but I’ll let you all know as soon as I do. I’m from the 21st century, and I live in Melbourne! I think Tape Escape is probably my favourite so far. I rewrote it so many times that I ended up feeling quite close to the characters. I worked on it, on-and-off, for about three years, so finally seeing it in print was a huge thrill after all of that time and work. There are so many, but if I had to choose, I’d probably say Boy, by Roald Dahl. It’s an autobiography, about his childhood in Norway and the UK. I reread it every few years – some of it’s incredibly funny, but he also talks a lot about his homesickness when he went to boarding school, and a lot of other difficult times he went through. Boy also gives you some really interesting insights about where he got some of the ideas for his most famous stories – particularly Charlie and the Chocolate Factory. 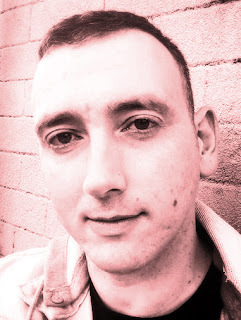 I started my career as a writer when my first book was accepted for publication in 2008, but I’d been working as an editor, making corrections and (hopefully!) improvements to other people’s books for a few years before that. I do a lot of reading, of course, but I also love drawing, guitar playing and long distance running. Eating and sleeping are two of my favourite hobbies as well! Thank you, Cameron, for including us on your blog tour! It was great to learn about your writing background and the books you enjoy reading yourself. It was also brilliant to hear how the Max Booth Future Sleuth series was created and to glean a little about what might be ahead in the adventures of Max and Oscar (ssh! we can keep a secret!). 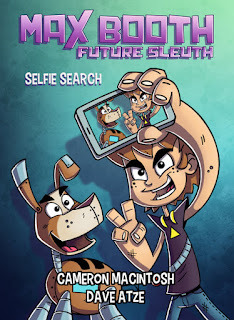 Congratulations to Cameron Macintosh and illustrator, Dave Atze on book two, Selfie Search. We’re all looking forward to future books - no pun intended! - in the series. Cameron would like to extend his thanks to Bronte, Jacob, Max, Lincoln, Maddi, William and Sarah for their wonderful questions, and to Mrs Dianne Kolenaty for co-ordinating the reading group. 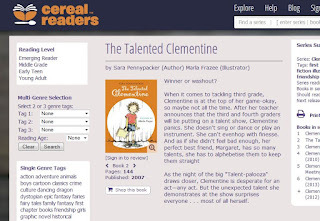 It was enlightening and great fun to share the Cereal Readers’ blog with such delightful readers and curious minds. Thank you for your questions, story summaries and reviews. I hope we can do it again soon! Easter seemed like the perfect opportunity to browse our books for series that feature chocolate and sugar! Perhaps not surprisingly, the sweet spot for the baking-themed series is the 8+ age group, which is often the age when interested parties turn their hands to baking. The themes are a balanced recipe of friendship, family and humour — sometimes with a little magic added for flavour! But sweetness dissolves completely in the acclaimed young adult duet series, The Chocolate War (1974). 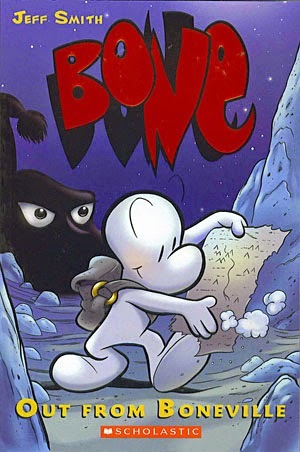 I well remember the impact of the title book from this series when I read it as a teenager. 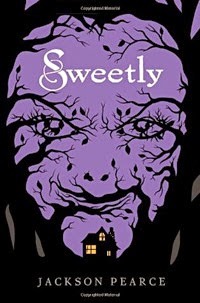 Written by American author, Robert Cormier, there is nothing sweet in this powerful story of manipulation and bullying in a private boys’ boarding school. 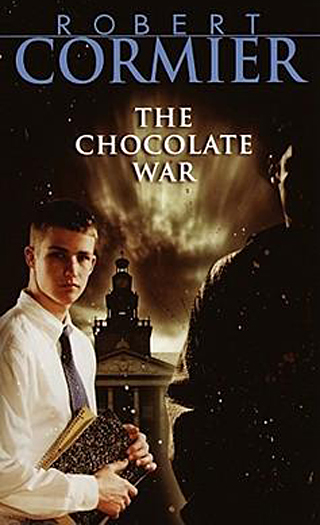 It centres on a secretive group and the pressure they bring to bear on every student to complete enforced quotas in an annual chocolate drive tradition. One new high-school freshman, Jerry Renault, decides he will defy the coercion, not foreseeing the lengths to which the others will go to make him conform. It's a tense, compelling and authentic story in which the author doesn’t shy from realistic themes of school life and the issues of peer pressure and ostracization. 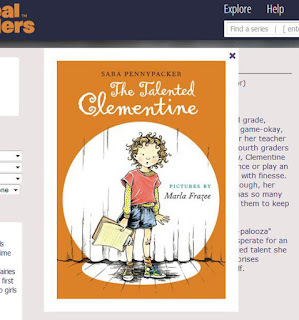 The book itself was ostracized for many years, as educators and librarians rejected its controversial themes of corruption, bullying and teen sexuality, mild though they are by today’s measures. Robert Cormier himself had more faith in the resilient character of young adults. When he won the American Library Association’s (ALA) Margaret A. Edwards Award for his “significant and lasting contribution to young adult literature", he responded “…it is such a clear reflection of what I've always hoped my novels could do - show adolescents the bigness of what's out there and that happy endings are not our birthright. You have to do something to make them happen." 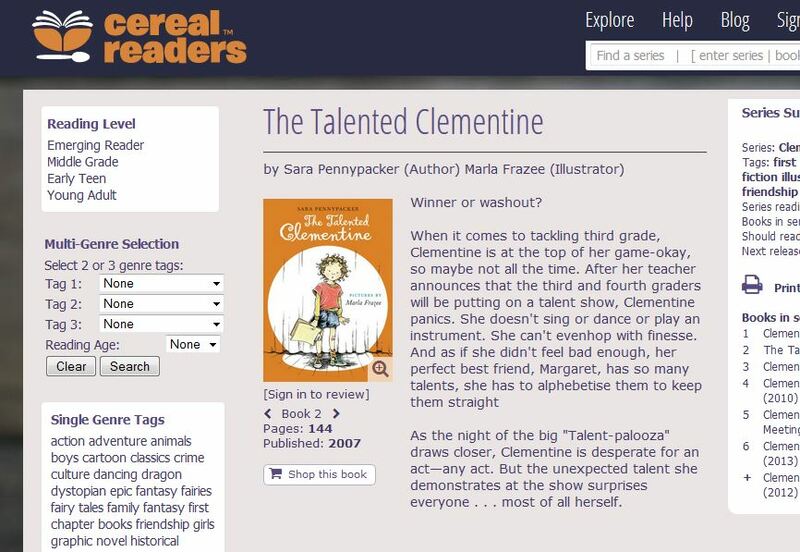 It appears third on the American Library Associations's list of the "Top 100 Banned/Challenged Books in 2000–2009". But before you panic: Harry Potter is first, Of Mice and Men is fifth, and Captain Underpants is thirteenth. Still, if the quality of Cormier's work won't encourage a reticent teen reader, perhaps that subversive nature of that listing might. The Australian wrote that young readers "recognised his vision as authentic and admired his willingness to tell things as they are". Can you believe it’s nearly Christmas again, already?! But what to buy for children and teenagers who often seem to have so much? Surely not more plastic and electronics. Okay, you’ve got the right idea - a book - yet how to choose from the sea of books available? Young readers know what they enjoy, but it’s not always the same thing Mum, Granddad, or Great Aunt Carol have in mind. So, take it from us, the book series listed here are ones every young reader would be happy to see in their Christmas stocking or under the tree this holiday season. 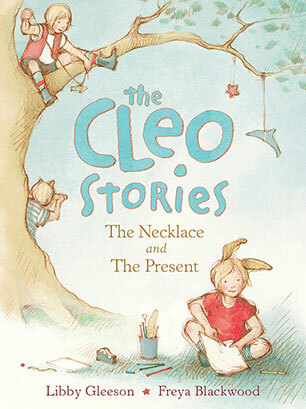 The Cleo Stories by Libby Gleeson and Freya Blackwood: Colourfully illustrated throughout, these gentle, appealing and authentic stories are perfect for transitioning young readers between picture and chapter books. Each book contains two adventures about Cleo—an imaginative, curious and fun character, whose relatable adventures about growing up and navigating the world around her will resonate with readers aged 5+. Mango and Bambang by Polly Faber and Clara Vulliamy: This new collection of four short stories features Mango Allsorts and her extraordinary new pal, Bambang, the Asian Tapir (who is definitely not a pig). The tales of these unlikely friends are accompanied by charming black-and-white illustrations making them perfect for newly confident readers aged 7+. 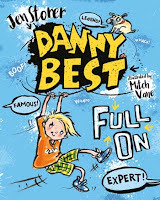 Danny Best by Jen Storer and Mitch Vane: Danny Best is the star of a brand new series in the style of Tom Gates but with a twist of uniquely Australian humour. He’s always been pretty sure he’s a hero and, now, it’s confirmed! 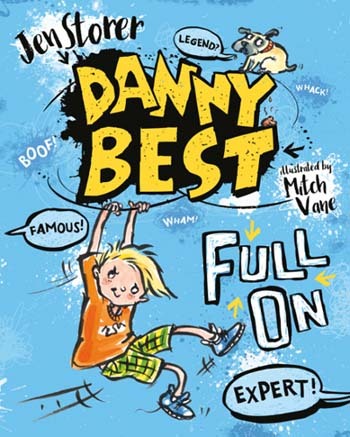 Punchy, imaginative text and energetic cartoons ensure that this confident character will become a fast favourite with readers aged 7+. Welcome to the Museum by Various Authors: An exceptionally beautiful series of large format, richly illustrated “virtual museums” filled with fascinating facts, exhibits and specimens. 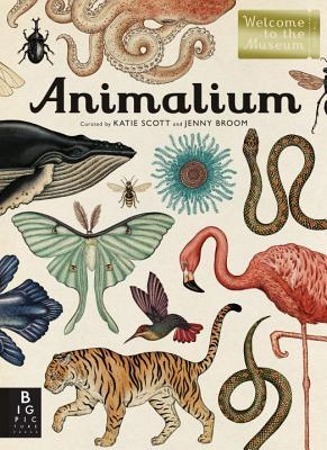 While nature lovers, art fanciers and history buffs of almost any age will find something to learn and love in this series, they’re designed particularly with readers aged 8+ in mind. 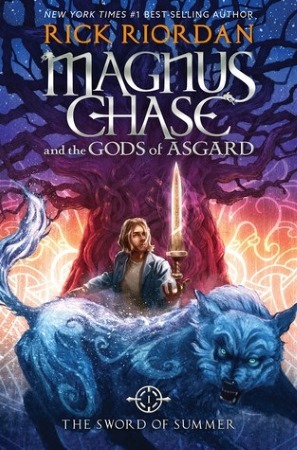 Magnus Chase and the Gods of Asgard by Rick Riordan: The Sword of Summer is the first in a thrilling new fantasy-adventure series steeped in the mystical world of Norse mythology. Fans of Riordan’s hugely popular Percy Jackson series will find themselves in familiar territory here, but with a host of new characters – both mortal and divine – to explore. Magnus Chase offers enthralling, intelligent action for readers aged 9+. Theophilus Grey by Catherine Jinks: Theophilus Grey and the Demon Thief is the first half of a new historical mystery duolgy, set amongst the dank allies of eighteenth-century London. Twelve-year-old Theophilus must utilise his network of young spies to face off against secrets, spells and sinister nemeses. Jinks’ use of historical language makes this a challenging but thoroughly immersive series for confident readers aged 10+. Letter for the King by Tonke Dragt: A classic of Dutch literature, it’s taken more than fifty years to see the second instalment of this enchanting historical series translated into English but, truly, it is worth the wait! Dragt’s carefully imagined world of kings and knights, chivalry, and magic will surely inspire devotion in readers aged 11+ who love adventure and medieval history. 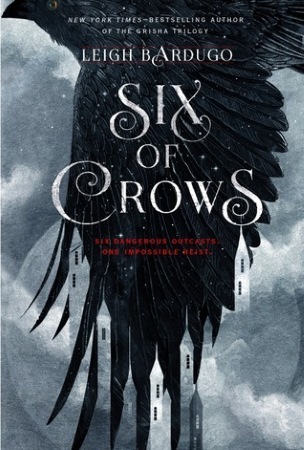 Six of Crows by Leigh Bardugo: With one acclaimed series under her belt, Bardugo has stormed the YA literary world with a thrilling new series set in the same fantasy world as her earlier novels. While it’s not necessary to have read The Grisha beforehand, readers may wish to revisit it while they wait for the second instalment of Six of Crows due out later next year. High-stakes heists, riveting action and just a touch of romance make this follow-up pure reading pleasure for fantasy fanatics aged 13+. 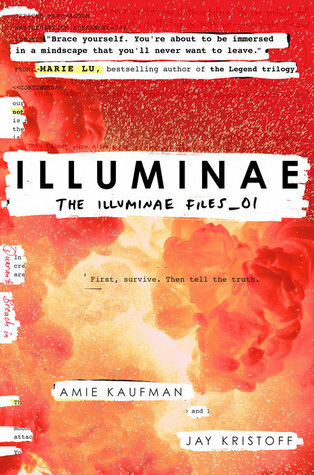 The Illuminae Files by Amie Kaufman and Jay Kristoff: It seems every summer there’s an ‘it-book’ which inevitably tops every YA blogger’s ‘to-be-read’ list. In 2015, that honour is bestowed upon lluminae, the first in a highly anticipated new series which can best be described as good old-fashioned sci-fi… with zombies… and our favourite ‘will-they-won’t-they?’ romance of the year. 9-out-of-10 bloggers agree: readers aged 13+ should read it. Read it now. 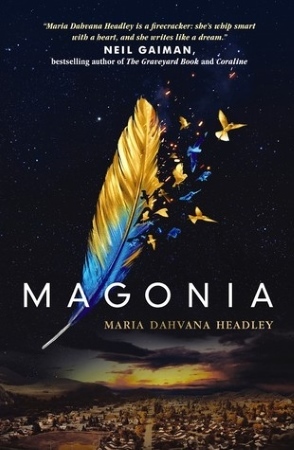 Magonia by Maria Dahvana Headley: Whenever a book is described by its publisher as “Neil Gaiman meets John Green”, we’re a little sceptical but – in the case of this remarkable YA debut – these are entirely justified comparisons. While there’s only one book in the series so far, there’s a sequel due next year so fans will have something to look forward to. With a thoroughly quirky plot and charming prose, readers aged 14+ will adore the blend of fantasy and realism Magonia has to offer. 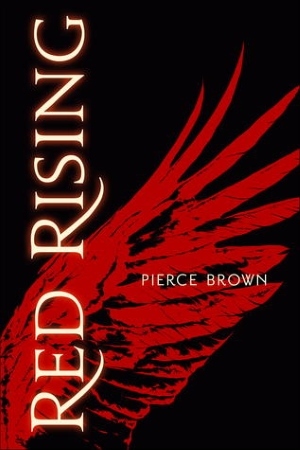 Red Rising by Pierce Brown: Dystopian fiction is not going away – that’s a fact—and one we’re pretty happy about, since authors keep rustling up killer ideas for societies gone mad with power and greed. What’s so refreshing about Pierce Brown’s Red Rising trilogy is the strong political statement it makes about inequality and the distribution of wealth. This is smart, engaging and original dystopian sci-fi and, you can bet your bottom dollar, readers aged 14+ will be hooked. The Bone Season by Samantha Shannon: Critics heaped praise upon The Bone Season when it was released in 2013 and it’s easy to see why: a compelling heroine who happens to be clairvoyant is kidnapped by a secret society determined to harness her powers for their own shadowy purposes. And did we mention the year is 2059? The sequel is just as riveting and, with five more instalments planned, The Bone Season series is pure futuristic fantasy with a mysterious edge that readers aged 14+ are going to love. Wishing you a joyous & festive season from Cereal Readers! 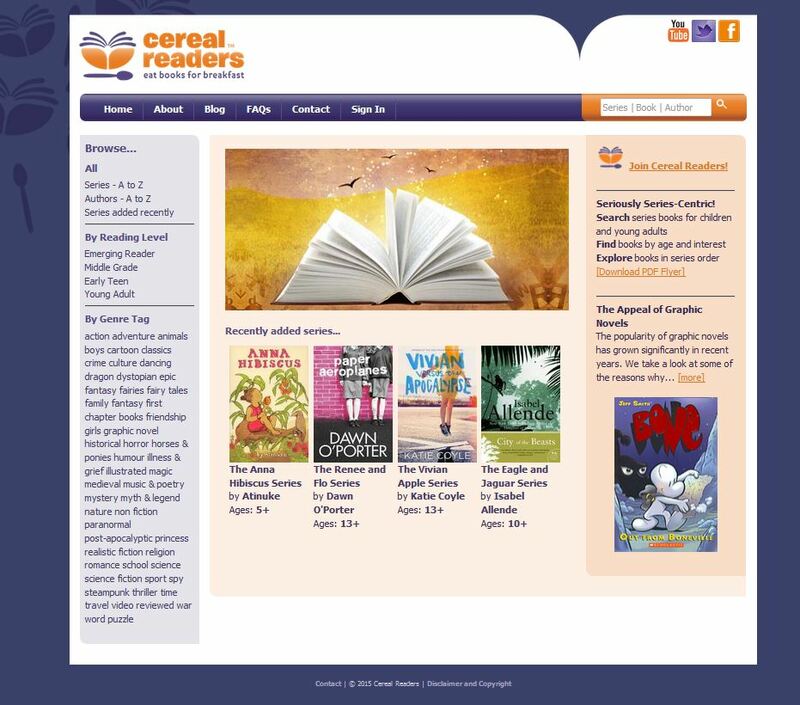 It is with some sadness and nostalgia that we farewell our very first Cereal Readers website design. However, as we quickly approach our third anniversary, we’re looking forward to embracing a fresh new look and the realisation of many effective new search features. As part of the clean and updated look, our primary focus was to improve the quality of the book cover images. Appealing images are vital for engaging young readers and we're thrilled that images now display with enhanced size and clarity. The long list of features we wanted to offer had to be distilled to those we thought would be most valuable. Expanding the variety of ‘search lenses’ (as we like to call them) will hopefully provide useful portals to the series we have available. 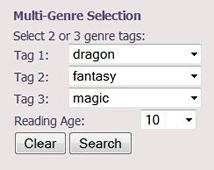 In particular, we’re really pleased to make available the ‘multi-genre tag + age range’ search for discovering new series. Apart from the multi-genre tag search, my favourite new feature is the ability to see at-a-glance which series have introductory book trailer videos - a wonderful tool for quickly enticing readers of all ages. Video icon indicates introductory series book trailer. A previous/next feature for moving between sequential books in a series. 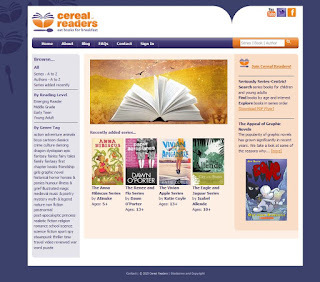 A new ‘Explore’ menu option that provides a launching point for the many ways to search series on Cereal Readers. Overall, we believe these and other changes have made the site clearer and easier to use. We hope you’ll take a few minutes to acquaint yourself with the recent changes. There are still many features we would love to bring you, but we had to walk the line between dreams and delivery, so…next time. As a large number of our visitors access the site via mobile phone, a mobile-friendly version of the site is high on our list for the second half of 2015 - we'd really hoped to deliver it with this release, but time ran short. As is often said in the technology business, ‘the perfect is the enemy of the possible.’ We’ve bought you the possible for now. Hope you enjoy it! Be this as it may, debate over the terminology has not diminished the widening appeal and growing popularity of graphic novels. And the term seems here to stay, perhaps in part because the word ‘comic’ can be misleading: many comics are not humorous in nature. Instead, they are dramatic, adventurous, romantic—in fact, any genre a text-based novel can be. Just as the stories portrayed in graphic novels have become more diverse in content, so too, has the readership has widened. 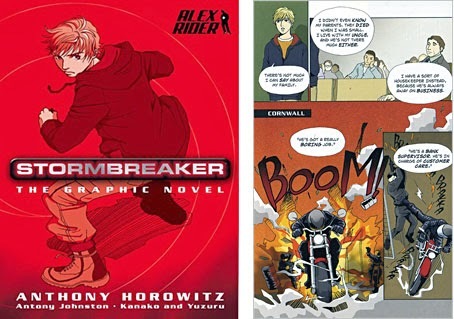 Publishers of many popular series, such as Twilight (for ages 12+) by Stephanie Meyer, and Anthony Horowitz’s Power of Five (for ages 12+) and Alex Rider (for 9+ years) series, are keen to produce the books in graphic novel format for a variety of ages. While comic magazines and graphic novels are spurned in some quarters for curtailing literacy, some of their biggest supporters are librarians. In fact, librarians were among the first to note the fast-growing trend through the lending cycle, and have been strong supporters of the genre, viewing graphic novels as powerful tools in the process of advancing literacy. They not only combine words and images, but require the reader to interpret the narrative flow by linking the actions in the panels together. Graphic novels are also popular with younger readers, and appeal to reluctant and struggling readers as well as those who are more advanced. [source] Jeff Smith commented on this phenomenon during an interview some years ago. "...there was a time when people actually thought comics caused illiteracy. They thought it would make you more stupid. So this was our chance [invited to speak at the American Library Association national conference in 2002]. And we were all excited to make our case for comics being good. But immediately, it was clear that the librarians were way out in front of us. They knew this. Have you noticed the world is changing? Sounds almost too self-evident to mention, yet it’s a contributing factor in the growth of graphic novel readership in recent years. No one can deny that communication has changed and will continue to change. The combination of images and text is becoming a standard way of conveying information and one that requires new interpretative skills. [source] University of North Florida assistant professor of literacy Katie Monnin refers to this as "the greatest communication revolution since the invention of the printing press," as a way of illustrating the scale of what is occurring. Couple that with the fast pace of these means of communication—movies, videos, internet—and you can see how graphic novels help span the gap between these visually stimulating forms of entertainment, and the format of print. 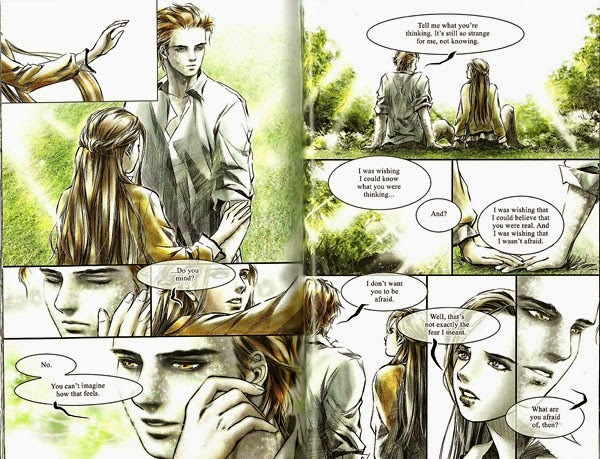 Graphic novels may appeal more to those who have become used to this quick delivery style of a story because text-only books might seem slow by comparison. In addition to providing reading and enjoyment in their own right, far from turning readers away from traditional novels, graphic novels may actually make them more accessible. In the southern hemisphere, summer is warming up! Attack your growing pile of ‘been meaning to read’ books, or embark on one of the new children and teen series out this year—Kara's made it easy for you with her favourites list from 2014. Long, leisurely days stretch out before you like the golden sand on a vast beach. It’s holiday time and there are a couple of ways this could go down: you could sleep until midday, while away the afternoons playing video games or browsing social media, then commit your evenings to trashy TV until it’s time to return to the weekday grind. Or .... you could read a mountain of books. Read the books that have been gathering dust on your bedside table. Read the books that you’ve renewed (three times) from the library or promised your friend you’d return...soon. Read novels and essays and poems or even a whole series! Do it. Read a book. Just in case you’re in need of fresh ideas for this holiday season, here are a few suggestions for young readers of all ages. Coincidentally, the list acts as something of a round-up of our favourite new series for the year. Is there something here that you’ve been meaning to get your hands on? Now’s the time to do it—go ahead, read a book! Squishy McFluff by Pip Jones & Ella Okstad: This will appeal especially to animal-loving kids with bright imaginations aged 5+. Fun rhyming verse and soft pastel illustrations make for a nice transition between picture and chapter books. Lulu by Judith Viorst: Children aged 6+ with a mischievous nature and a good sense of humour will find much to relate to in Judith Viorst’s young heroine, Lulu. The quirky illustrations featured throughout are by Lane Smith and Kevin Cornell. Weir Do by Anh Do: Sweet and very funny stories about a boy doing his best to fit in, written by one of Australia’s best-loved comedians. Just perfect for strong readers aged 6+ who are still a little too young for Diary of a Wimpy Kid. Atticus Claw by Jennifer Gray: The hilarious adventures of cat-burglar-turned-detective, Atticus Claw. Running between 220 and 250 pages each, these are great for kids aged 7+ or slightly older reluctant readers who like a little mystery in their chapter books. Frank Einstein by Jon Scieszka: An irresistible blend of science and adventure make this the perfect series for curious young minds aged 8+. With Scieszka’s trademark zany humour, fans of Andy Griffith’s Treehouse series are bound to feel right at home. Mister Max by Cynthia Voigt: This finely crafted series of pitch-perfect historical mysteries is complete with elegant black-and-white illustrations and a uniquely Victorian flavour. Voigt once again provides quality literature for confident young readers aged 8+. Mapmaker Chronicles by A.L. Tait: The first in a thrilling medieval series about exploration and adventure, Tait’s young adult debut bears a resemblance to the ever-popular Ranger’s Apprentice series. Readers 9+ who enjoy action, adventure and history will devour these. Caddy Kids by N.J. Gemmel: The delightful adventures of four wilful siblings from Australia who are unexpectedly thrust into the care of their eccentric English uncle. With wry humour and quirky characters evocative of Lemony Snicket, these are simply perfect for readers 10+. Through My Eyes by Various Authors: A moving and informative series which explores the lives of children living in contemporary war zones. These books sensitively and tastefully introduce serious social themes while remaining age appropriate for readers aged 11+. Riverman by Aaron Starmer: Magical realism with a twist of folklore, Riverman harks back to the early work of Neil Gaiman or Colin Meloy’s Wildwood series. Eerie and intriguing, the trilogy explores some heavy topics but is recommended for mature-minded readers aged 12+. Maze Runner by James Dashner: While the dystopian genre has been less prominent in 2014, we can’t ignore this classic series recently revitalised by an excellent film adaptation. Action, competition and an evil dictatorship will have most boys and many girls aged 12+ engrossed. Girl Online by Zoe “Zoella” Sugg: The first in a planned series by YouTube celebrity and style-icon Zoella, this contemporary romance tells a coming-of-age story for the digital generation. 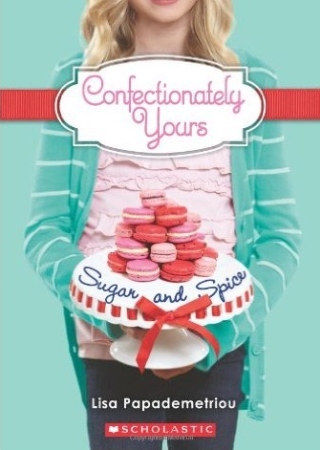 This is sweet and easy YA fiction – a perfect holiday read for girls aged 13+. Mara Dyer by Michelle Hodkin: Mara Dyer awakens from a coma with no memory of the events preceding her hospitalisation but that’s only the beginning of her nightmare. A dark mystery with a twist of horror and, of course, a love story will suit teen girls aged 14+. Winger by Andrew Smith: Realistic fiction with a likeable male protagonist barely exists as a genre but this is a great example of how it can to be done! Teens aged 14+ will relate to the precarious balance between school, sport, family, friends and a blossoming new romance. Split Second by Sophie McKenzie: A contemporary thriller packed with high-voltage action and a web of dangerous conspiracies. A safe bet for both males and females aged 14+ due to the dual-character narration which offers alternating perspectives from both protagonists. The 5th Wave by Rick Yancey: In this smart apocalyptic drama, humanity is decimated by an alien invasion which bears little resemblance to the various Hollywood versions. Tough, resourceful characters and thrilling plot twists make it a perfect series to entertain teens 14+. Winner's Trilogy by Marie Rutkoski: Set in a richly imagined new world, this is a story of romance, rumours and rebellion, where dirty secrets and careless alliances can be deadly. Everything is at stake, and the gamble is whether you will keep your head or lose your heart. 5-spoons! And that’s the list! I hope you've discovered a new series to share with a hungry young reader—or to sink your own teeth into—because filling your mind with new adventures is the very best way to get the most out of your holidays! To paraphrase that bastion of popular fiction, George R.R. Martin: readers live a thousand lives but those who choose not to read...live only one. So, how many lives can you cram into your holiday break? On behalf of the Cereal Readers team, we wish you a merry Christmas—and a year ahead filled with many, many hours of happy reading. Once upon a time, long, long ago…long before there were books written for reluctant readers, books about social issues, or distinct markets such as ‘tween’ or ‘young adult’…long ago, there were just fairy tales. Stories within stories; stories originally told as a way of socialising children, warning them of the perils of trusting strangers, the misfortunes of birth, the saving power of romance and—in most cases—the ultimate victory of good over evil. They outlined traditional roles: girls becoming women; boys leaving home, taking risks and being protectors; and so many of us grew up with them. 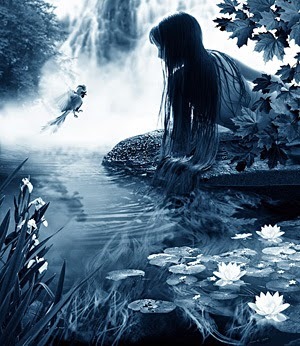 Then fairy tales fell from favour. These tales full of stereotypes and unconscious myths—myths such as those equating beauty and good; ugliness and evil; and the idea that a female is helpless until ‘saved’ by her handsome prince—were not politically correct! But fairy tales also feature resilience and resourcefulness, courage and triumph - together with a gripping tension and delicious thrill that is, somehow, unique to this genre. And, whatever the suggested age of appeal, the timeless nature of fairy tales can be enjoyed into adulthood. So, good news! The fairy tale tradition has been reborn in recent years with some highly (highly) engaging and imaginative results. 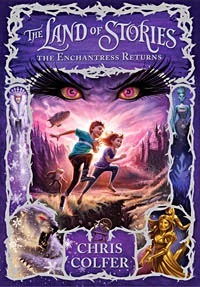 The trend not only crosses both children’s and young adult’s series, but the interpretations range from the more traditional retelling to humorous takes; from versions with contemporary settings to even ambitious futuristic adventures, such as the ‘Lunar Chronicles’ serial by Marissa Meyer. Here's a brief guide to some of the bold new options. If you’re looking for a more traditional retelling that moves well beyond the picture book versions for small children, here are two well worth exploring. Folktales by Robin McKinley is a series which features spellbinding retellings of classical fairy tales, for ages 11+. For a similar age, there is the award winning Books of Bayern series by Shannon Hale. 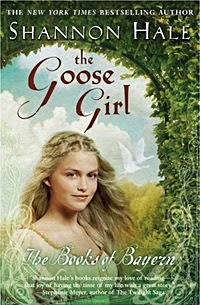 This original and magical series is woven from the Grimm’s fairy tale of a princess who became a goose girl and must discover her own unusual talents before she can lead her people as their queen. 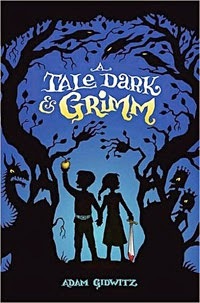 Tales Dark and Grimm…and Witty! As a springboard for the imagination, fairy tales provide infinite scope, as shown by authors Adam Gidwitz and Christopher Healy. In their respective series, they mix characters across stories and add humour and mayhem. Humour abounds in the illustrated Christopher Healy series, League of Princes (ages 9+). The string of ‘cardboard cut-out’ princes required only to sweep in, save the day, and look good in a wedding frock-coat, are finally given some back story as they take centre stage. Teaming up to crisscross fairy tales, the members of the League of Princes are revealed for all their foibles and eccentricities as they embark on action...that is, to the best of their abilities. A series I’m sure will appeal to many boys! I’m intrigued by Christopher Healy's idea of also exploring the nefarious and unstable evil fairy tale characters in a future series. I think that would make for some very funny stories, indeed. 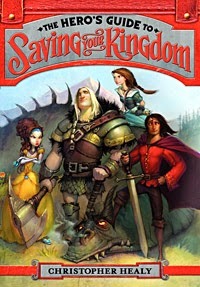 Several series have chosen a contemporary setting in which to present a modern take on the fairy tale. Located in a world that includes high school, the Internet and a variety of adolescent concerns, the classic elements of the fairy tale have a fresh twist in a familiar backdrop. Here are a few written for slightly older readers. 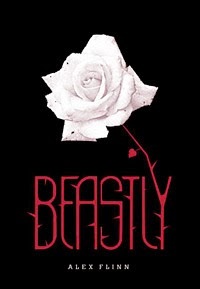 The award-winning series, Beastly by Alex Flinn (ages 13+). At their heart, the stories echo the well-known tales, however, Prince Charming is now the most popular boy in school; the wicked witch is a goth girl determined to teach her peers a lesson they won't forget; and the damsel in distress has a bizarre past. 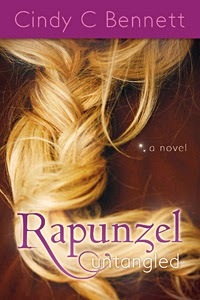 In the Unfortunate Fairy Tale series by Chanda Hann (ages 13+) Mina, a descendant of the Brothers Grimm has inherited all of their unfinished fairy tale business—she must finish the tales to the end, or she and her family will suffer dire consequences. Action and fierce family loyalty also feature in the Fairy Tale Retellings series by Jackson Pearce (ages 14+). These dark and gorgeous fairy tale retellings have action to set the heart-pounding, and romance to leave readers breathless. 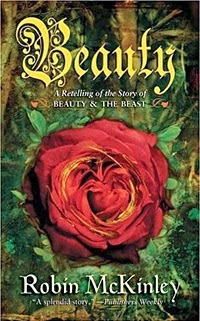 The Enchanted Fairytales by Cindy C. Bennett also has a contemporary setting, but the heart-felt stories have no magical or supernatural elements. 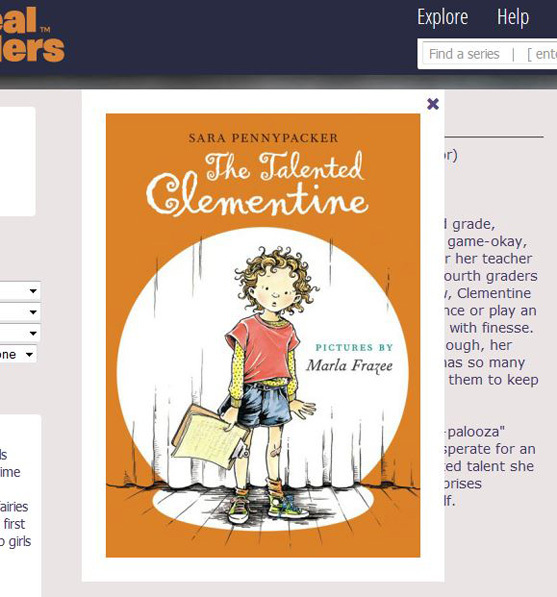 This charming series, most comprised of novellas, is well-suited to the pre-teen age group (ages 10-11+). For slightly younger readers, the Land of Stories series (ages 8+) by Chris Colfer, tells the tale of twins Alex and Conner. Through the mysterious powers of a cherished book of stories, they leave their world behind and find themselves in a foreign land full of wonder and magic where they come face-to-face with the fairy tale characters they grew up reading about. One of the most innovative fairy tale-inspired series is the recently published Lunar Chronicles by Marissa Meyer. This fast-paced story successfully melds intelligent and resourceful heroines—Cinder (Cinderella), Scarlet (Red Riding Hood), Cress (Rapunzel) and Winter (Snow White)—romance, space technology and viral warfare. Yes, space technology and viral warfare. That this unlikely combination creates an engaging, hold-on-to-your-seat ride, is a tribute to Meyer’s imagination and daring. The series begins with the story of Cinder, a cyborg mechanic in a futuristic New Beijing. New Beijing is plagued with a mysterious illness and the threat of invasion from the moon-based, Lunar people. The subtle but distinct Chinese setting and references, which played out in names, foods and other cultural references, was refreshing. 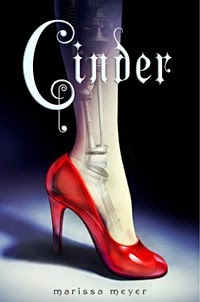 Events in Cinder set the scene for subsequent novels, with new characters gradually added to the unfolding action, rather than each feature character and fairy tale having a separate book, per sage. As a result, this series is also a serial, with definite cliff-hangers at the end of each book. But have no fear, when the fourth and final book featuring Winter, is released in early 2015, I’m quite sure we’ll see some fairy tale endings! A thoroughly engaging—and perfectly suitable—series for ages 12+. Still firmly in the fairy tale genre but not falling easily into the categories above, the following series offer further variety in the fairy tale genre, many of them having been nominated for or won respected awards. Oh, and there are many more! Stow any preconceived ideas you may have about this genre and sample a few. With such a variety of series paying homage to the fairy tale tradition in new and exciting ways, there’s sure to be something that appeals to almost every taste. If you have another fairy tale series you'd like to see added to Cereal Readers, please email us at: books@cerealreaders.com.